Through July 31 – Prime Time in the Parks to be held at different parks in the Columbia area. This event is for Teens to give them something fun and safe to do during their time out of school. For more information call (803) 545-3100 or visit http://columbiasc.net/parks-recreation/programs/youth. Through August 1 – “Dreamgirls” at the Trustus Theatre. Themed in the turbulent 1960’s, watch these African American singers wildest dreams come true. For more information call (803) 254-9732 or visit https://trustus.org/. Through August 27 – Five after Five Spring Concert Series on Thursdays at the Five Points Fountain. For more information call (803) 748-7373 or visit https://www.facebook.com/events/880156158697413/. Tuesdays – Toddler Tuesdays at the EdVenture Childrens Museum. Bring your toddler In for seasonal art activities, music, and our sand tray exploration in the Early Learning Classroom. For more information call (803) 779-3100 or visit http://www.edventure.org/calendar/calendar.aspx. July 29-31, August 1-3 – Lexington County Blowfish Baseball at the Lexington County Baseball Stadium on Ball Park Road. Come out and support out local baseball team. For more information call (803) 254-FISH or visit http://www.goblowfishbaseball.com/. July 29 – “James Taylor” at the Colonial Life Arena. Come out and enjoy the music of this this long known and well loved entertainer. For more information call (803) 576-9200 or visit http://www.coloniallifearena.com/events/eventpages/545.asp#.VaL0o_lVikp. July 30 – The Palladium Society’s Renovation Rodeo in the Arsenal Hill Neighborhood. Come enjoy a tour of this historic neighborhood and learn from a variety of individuals, including homeowners, how these historic buildings were renovated to stay true to their roots and history. Refreshments will be provided. For more information call (803) 252-7742 ext. 115 or visit http://www.historiccolumbia.org/events/renovation-rodeo-july-2015. July 30 – Farm to Gallery Makers Dinner at the South Carolina State Museum. 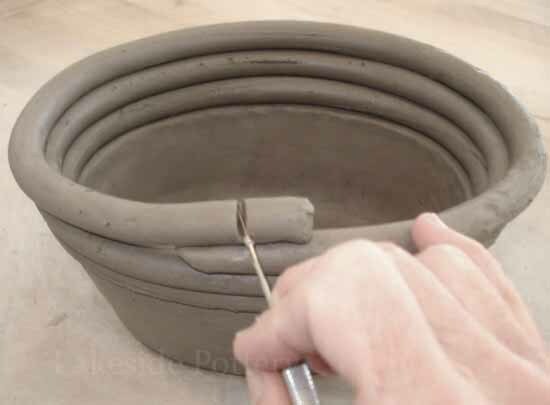 Come enjoy this first of its kind event that will include locally grown produce, live entertainment, hand-made pottery dishes (which you can take home), and tables made just for the event, all in the middle of the “Carolina Makers” exhibit. For more information call (803) 898-4921 or visit http://scmuseum.org/events/farm-to-gallery/. July 30 – August 2 – “Mary Poppins” at the Town Theatre. Come out and see this classic Walt Disney Musical performed live. For more information call (803) 799-4764 or visit http://towntheatre.com/mary-poppins/. July 30 – National Night Out at the Columbia Metropolitan Convention Center. Event it put on by the Columbia Police Department. For more information call (803) 545-0001. July 31 – “The Croods”, part of the Outdoor Summer Movie Series at Riverfront Park. This animated film is set in the historical Pliocene era with fictitious prehistoric creatures. For more information call (803) 545-3100 or visit https://www.columbiasc.net/press-releases/071020151007-citys-annual-summer-movies-and-concert-series. 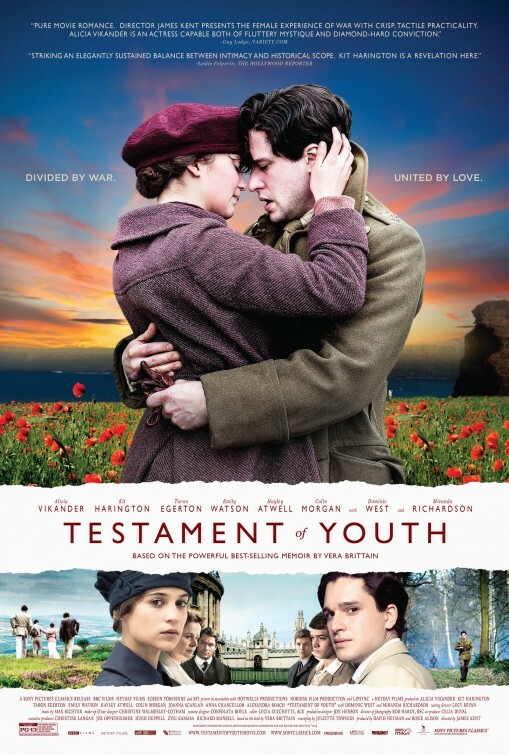 July 31 – August 6 – “Testament of Youth” at the Nickelodeon Theatre. See how young love is impacted by the devastation of war and difficult times. 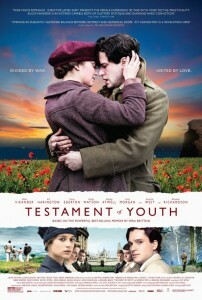 For more information call (803) 254-8234 or visit http://nickelodeon.org/films/testament-of-youth/. August 1 – Blythewood DOKO Rodeo at the Blythewood Community Park. Event will include Bull Riding, Barrel Racing as well as music, food, and rides for the kids. For more information visit http://www.blythewoodrodeo.com/. August 1 – Naturally You: Hair, Health, Fashion, and Beauty Expo to be held at The Medallion Center on Garners Ferry Road. Event will include seminars, demonstrations, and even a fashion show. For more information call (843) 793-8684 or visit http://eventful.com/columbia/events/naturally-you-expo-/E0-001-083808932-4. August 1 – Metal Jewelry 101 at the Columbia Art Center. Come learn the art of making metal jewelry. For more information call (803) 545-3043 or visit http://columbiasc.net/depts/parks-recreation/art_centers_august_workshops.pdf. August 1 – A Fine Affair at the Double Tree Columbia on Bush River Road. This event is the kick-off event for the Ronald McDonald House Charities annual golf tournament. Enjoy good food, cocktails, and live entertainment. For more information call (803) 254-0118 or visit http://www.eventbrite.com/e/a-fine-affair-tickets-17260507643. August 1 – Back to School Fashion Show at the Columbia Place Mall Center Court. Attendants will have a chance to win an Apple Watch or a Beats headset. For more information call (803) 788-4678 or visit http://columbiaplacemall.com/. August 1 – Back to School Haircuts at Remington College Columbia Campus on Bush River Road. Bring your kids out for a free haircut for school. For more information call (803) 214-9062. August 1 – Community Back to School Bash at the Crossroad World Outreach Center on Emanuel Church Road. Free school supplies will be handed out and the West Columbia Fire Department will be on hand to provide entertainment. For more information call (803) 917-6334. August 1 – “LTD” at Finlay Park. This R&B Funk band is part of the Summer Concert Series, so bring a blanket or a chair and enjoy an evening of entertainment under the stars. For more information call (803) 545-3100 or visit http://coladaily.com/2015/05/24/free-summer-concert-series-set-to-return-to-finlay-park/. August 3 – “Capital City Chorale” 20th Anniversary Celebration Concert at the First Baptist Church of Columbia. Come out and see why this fabulous group of entertainers leaves every audience spellbound. For more information call (803) 865-4013 or visit http://capitalcitychorale.net/. August 3 – 7 – Insta-Art at the Columbia Museum of Art. Kids ages 8 – 12 can learn how to use their tablet as a blank canvas in this week long workshop. Held from 9:00 am to noon. For more information call (803) 422-4921 or visit http://www.columbiamuseum.org/happenings/insta-art. August 3 – 7 – Cartooning Creatures at the Columbia Museum of Art. Kids 8 – 12 can learn how to create their own cartoon creatures in this week long workshop. Held from 1:00 pm to 4:00 pm. For more information call (803) 422-4921 or visit http://www.columbiamuseum.org/happenings/cartooning-creatures-0. August 4 – “Leah Saurez and Friends” at the Township Auditorium. This event is part of the Summer Sets Jazz Series. For more information call (803) 576-2350 or visit http://www.thetownship.org/. August 5 – “Spanky Brown” at the Comedy House Theatre. Enjoy a night of laughter from this great comedian. For more information call (803) 798-9898 or visit http://comedyhouse.us/spanky-brown/. 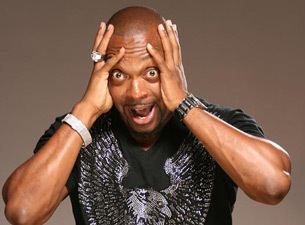 August 5 – 6 – “Mike Goodwin” at the Comedy House. This Camden native has gotten rave reviews for his clean act and his famously known bowtie. He is guaranteed to send you home filled with joy and laughter. For more information call (803) 798-9898 or visit http://comedyhouse.us/mike-goodwin/. August 6 – Roller Derby Rock Show at the Music Farm. Three rock bands and two roller derby teams will come together to raise funds for Pawmetto Lifeline and work toward ending the over population of animals in the area. For more information call (301) 466-5542 or visit http://www.musicfarm.com/event/904271. August 6 – “J Bliss” at the Comedy House. Learn to laugh at every day event and family life from this great comedian! For more information call (803) 798-9898 or visit http://comedyhouse.us/j-bliss/. August 6 – 27 – Screen Printing 101 at the Columbia Museum of Art. Learn the basics of screen printing in this 4 week series of workshops. Students will create their own design to test out using this process. For more information call (803) 422-4921 or visit http://www.columbiamuseum.org/happenings/screenprinting-101. August 7 – Brew at the Zoo at the Riverbanks Zoo and Garden. Come out and sample a variety of brews, enjoy good food, live entertainment, and of course, visit with the animals. For more information call (803) 779-8717 or visit https://www.riverbanks.org/events/brew-at-the-zoo.shtml. August 7 – “Switchblade Sisters” at the Nickelodeon Theatre. See how a gang of girls shows up every gang in town. For more information call (803) 254-8434 or visit http://nickelodeon.org/films/switchblade-sisters/. August 7 – 9 – Summer Side-Walk Sale on Devine Street in Five Points. Come enjoy the largest sidewalk sale in the area for this tax-free weekend event. 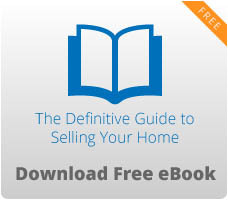 For more information call (803) 608-6161 or visit https://www.facebook.com//1605733729715536/. August 7 – 9 – “John Witherspoon” at the Comedy House. John has been in numerous movies and will keep you in stitches! For more information call (803) 798-9898 or visit http://comedyhouse.us/john-witherspoon/. August 8 – Back to School Bash at Finlay Park. Event will include school supplies for elementary, middle, and high school kids, health screenings, fitness challenges, entertainment, refreshments, and more. For more information call (803) 545-3100 or visit https://twitter.com/CityofColumbia. August 8 – Money Matters at the EdVenture Children’s Museum. Bring the family in for this brief, informative series on handling financial matters, with children learning to think careful about money and parents will learn ways to discuss financial matters with their family. For more information call (803) 779-3100 or visit http://www.edventure.org/calendar/calendar.aspx. August 8 – Baker and Bakers Series “Music for a Duchess” at the Columbia Museum of Art. Come enjoy an afternoon of Baroque music while seeing the newly done painting of Louise De Keroualle, Duchess of Portsmouth done by Dutch artist Jan de Baen. For more information call (803) 422-4921 or visit http://www.columbiamuseum.org/happenings/baker-and-baker-presents-music-duchess. August 8 – “James Gregory” at the Town Theatre. Come see the “funniest man in America” live in action. For more information call (803) 799-4764 or visit http://towntheatre.com/special-events/. August 9 – Passport to Art: Back to School at the Columbia Museum of Art. Bring the family to this drop in work shop on the art of relief print making and using inks, rollers and foam blocks create a masterpiece to take home. For more information call (803) 422-4921 or visit http://www.columbiamuseum.org/happenings/passport-art-back-school.